Liz Claiborne, one of the giants of the fashion industry, died Tuesday in New York of complications from cancer....Along with Donna Karan a decade later, Claiborne's name is synonymous with outfitting the new career women of the '70s and '80s. In fact, Karan's first major fashion job was with the Claiborne company. Read the rest at the San Francisco Chronicle, or see the article in the New York Times. 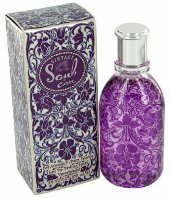 Liz Claiborne will launch Vintage Soul by Curve, a fragrance for women that “explores the femininity of a romanticised era”, this coming July.